Did you ever think that you and your golfing buddies would be able to book a golf vacation to Myrtle Beach and enjoy not only all of the different Myrtle Beach golf courses, some of which are world famous, but luxury oceanfront accommodations, and not have to do much but wake up, enjoy your rounds of golf, the beach and go have fun at night with the various attractions that are offered in the Myrtle Beach area? Well, all this and more can be yours when you book your Myrtle Beach golf package with Myrtle Beach Golf Authority. What exactly can Myrtle Beach Golf Authority offer to the golfers during their vacation to the Seaside Golf Capital of the World? The simple answer is everything! The goal of a Myrtle Beach golf package is to play golf and enjoy the beach and attractions along the Grand Strand. The highlight of your Myrtle Beach golf vacation can be your accommodations and the good times that were had by all in your group. Myrtle Beach Golf Authority can help you make the process smooth and easy, but also enjoyable when you choose our Luxury Myrtle Beach golf package. 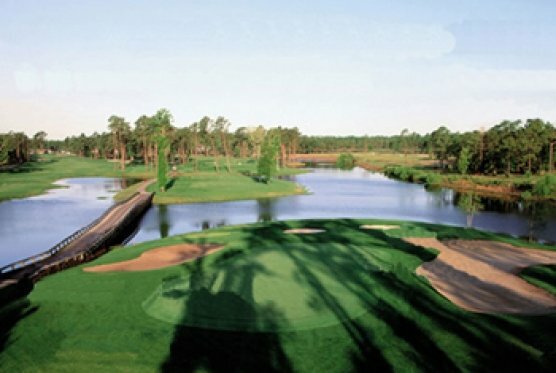 In this package you get to play some of the most prestigious and sought after Myrtle Beach golf courses in the area. 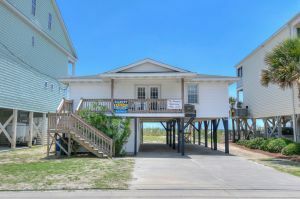 You also get to stay in some of the most beautiful and luxurious beach homes and condos that the Grand Strand has to offer. In addition to being on the ocean, imagine having a private pool and/or hot tub at your disposal. What about a game room for the golfing group to keep you entertained and having fun even when you are not on the golf course? Of course you need to eat, so we have gourmet kitchens available for those that want to bring out your inner chef, fully stocked if you would like. If you don’t want the hassle of cooking – don’t worry, we can help you with catering or even recommend the perfect spots to eat or grab a quick bite. Your fun on your Myrtle Beach golf package won’t stop with the accommodations – we can also help you get your crew to the Myrtle Beach golf courses and all your nightly entertainment stops with a van or large SUV and perhaps a driver so that you can relax and enjoy all that Myrtle Beach has to offer for your next golf package. Don’t put off booking your Myrtle Beach golf vacation any longer. Call us today and let us help you plan the perfect Myrtle Beach golf package for you and your buddies and leave everything to us.